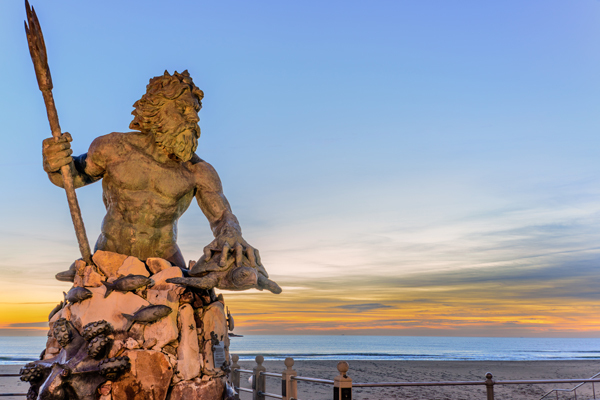 Many things about Virginia Beach surprised me on our recent trip. I went there with no preconceived notions, and I purposely did very little advance research. Oh, who am I kidding?! I hardly even had the time to Google it. So, serendipity became the “default” mode of this trip, as I made some interesting discoveries. 1. There’s fun beyond the beach. There’s a limit to how long I’ll sit with sand in my swimsuit, so I was relieved to find non-beach activities. We splashed around at a waterpark; spotted dolphins from the Rudee Flipper boat cruise; walked a ten-block stretch of boardwalk; and visited an aquarium. Of these, the newly renovated Ocean Breeze Waterpark and the nationally ranked Virginia Aquarium and Marine Science Center were our favorites. 2. History can be found here, too. I knew of the historic sites in and around Williamsburg, but didn’t realize that several right in Virginia Beach commemorate the “first landing” of English settlers over 400 years ago. You can visit the First Landing Cross, the Historic Villages at Cape Henry, the Battle of the Capes Monument, and the Cape Henry Lighthouse. We enjoyed the Old Coast Guard Station, where the kids learned about early at-sea rescue methods. 3. Swank is an option. Virginia Beach has welcomed tourism for over 100 years, so there are plenty of efficiency motels which you’ll either find charmingly retro, or…dated. 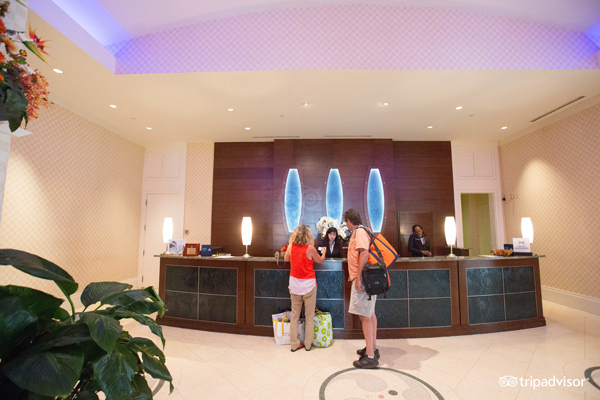 But there ARE stylish, new, upscale accommodations for a discerning traveler, like the Hilton Virginia Beach Oceanfront and the Ocean Beach Club. Beyond the hotel strip, we saw hundreds of new, upscale rental homes directly on the beach. 4. Rectangular chicken nuggets, and more! Yes, we found nuggets in my daughter’s preferred shape. But we also found other non-chain family restaurants with great food. At PI-ZZERIA, kids get a ball of pizza dough to play with while you order your brick-oven pie. Ask for a marina view at Big Sam’s while you enjoy the signature crab cakes. If you like your barbecue with a North Carolina tang, go to Beach Bully BBQ. 5. Leave the car in the garage. When you stay along the beachfront, you don’t need a car. The Hampton Roads Transit’s VB Wave is a low-cost shuttle making stops along Atlantic Avenue, the aquarium, the water park, campgrounds and shopping centers. We used it to get back to our hotel from dinner, after purchasing pre-paid fare cards at the nearest souvenir shop. Another fun option is to rent a surrey or beach cruiser to bike along the boardwalk. 6. It can get crowded. REALLY crowded. We visited during Memorial Day, so I expected some crowds. But the throngs on the beach, and the snarled traffic along Atlantic Avenue, made us search for a quieter spot. Lucky us; we found Sandbridge Beach just 15 minutes south, and had a hilly patch of sand to ourselves. Another option is Chesapeake Bay Beach to the north. I should note, we stayed through the day after Memorial Day, and in 24 hours the crowds nearly disappeared.